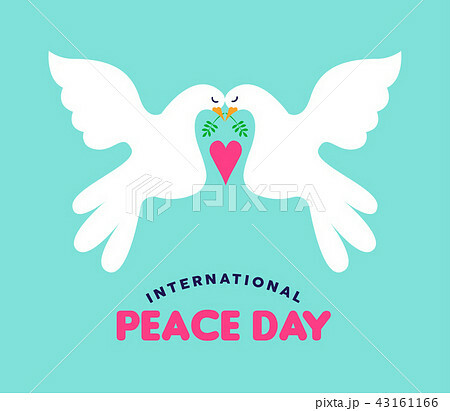 International Peace Day illustration of white doves couple falling in love. Hand drawn style concept design greeting card for global event peaceful celebration. EPS10 vector.